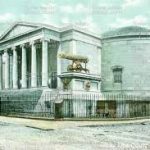 You might ask why my first blog of 2018 is dealing with Kerry in the 19th Century. 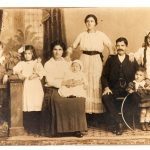 Over the years that I have been concluding genealogical research for clients, it has become clear to me that there is one common denominator that crops up when descendants first embark on finding their Kerry ancestors. It is a search for names and dates (of births, marriages and deaths) without the context. 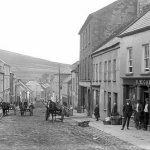 This search is of course necessary but in my view it is just as necessary to dig deeper and get to understand the context – what was it like to live in Kerry in the 19th century? 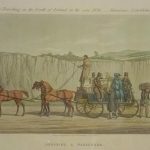 Why did the ancestors emigrate? Who paid for the passage? Why did they decide on their individual destinations, on Boston, Quebec, London, Sydney, Otago or wherever they settled? Very few Irish people knew (or even cared about) their exact year/date of birth. Even when they wrote down a definite date, that was just a guess. They weren’t trying to fool anyone or be evasive, it was just never of any imprtance at home and only on emigration did it become necessary in the new country for identification purposes. So rather then settle on a particular date, take dates in a range, from x to y. Most Kerry people married within neighbouring townlands. They met through neighbours, relatives, friends. In the first half of the century, Kerry men and women mostly married in their early twenties. After the Great Famine 1845-1852, the average age was thirty and over. After the Famine, the more land they tenanted or eventualy owned, dictated that ‘matches’ were made. These were the middle to ‘strong’ farmers. To marry into a farm, a girl had to have a dowry which in turn would provide the means for the husband’s sisters to get married themselves. A man marrying into a wife’s farm (known as a ‘cliamhán isteach), needed to have cash/youth (preferably both) with a view to keeping and developing that farm. For most of the nineteenth century, travel in County Kerry was walking or by horse or donkey & car. A person walking will average 3 – 4 miles per hour, a person riding or on a horse or donkey cart will average 5 -8 miles per hour. Thus a person could travel up to 12 miles each day, have time to socialise or conduct business (market day) within a 12 mile radius. The nearest port for emigration, with ships mostly to Canada, was Bblennerville, the Port of Tralee from 1828 until 1867. The railway came to Tralee in 1859. Stopping in Rathmore, Killarney, Farranfore and Tralee it was then possible to travel to Queenstown or Dublin by rail and onwards from there with most ships from Queenstown bound for New York (some via Liverpool). 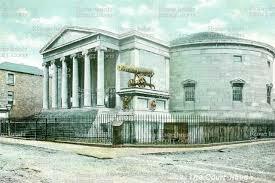 Limerick Port was also used. 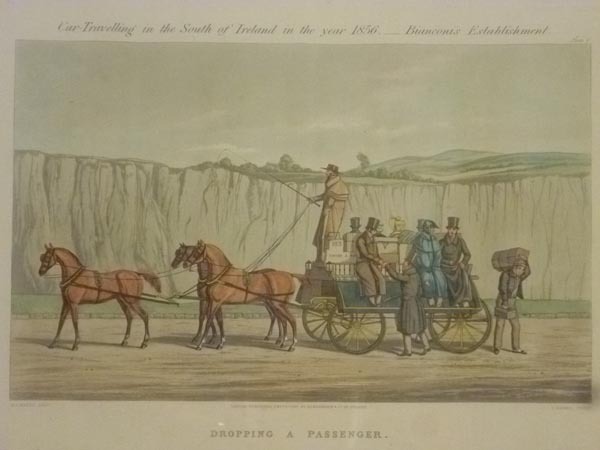 Charles Bianconi’s long cars started to serve Tralee to Cork at first c. 1828 and eventually called to Killarney, Killorglin and as far as Glenbeigh. Mail cars also operated between Tralee, Dingle, Castleisland, Killarney and Listowel. These would be used mostly by ‘the gentry’, ordinary folk could not afford them. Taking into account the travel limitations, ask yourself where they might have attended church, where would they have gone for market and fair days and to purchase the ticket for their emigration? Where did they go for court and legal affairs? Were there actually roads in their native townlands? As late as 1828, the Kenmare to Derrynane road was seven hazardous hours on horseback and according to Daniel O’Connell, best approached by Killarney or by sea. Getting to north Kerry from Limerick was best acheieved by boat to Tarbert and thence by poor and boggy roads to Tralee. Why did your ancestors emigrate? To get work is the immediate answer. Opportunities for education, particularly in the first half of the century, were very limited, especially if you lived outside the main towns, and while education was highly prized, it was not always possible for all the children in large families to avail of it. There was no employment for the vast majority, no land available to acquire and absolutely no ‘opportunities’ as they are now called. Who paid the passage and why did they decide on particular locations? This is probably one and the same question. Single people emigrating got the fare from relatives already in the emigrant country, which would be paid back after arrival and employment. This ‘passage money’ would then be re-cycled on to the next brother or sister whose turn would come to take the boat. The location was not chosen by the emigrant, he/she choose to go where there were already relatives, neighbours and friends who would try to have jobs already lined up on arrival. Different Kerry parishes are well known for providing large numbers of immigrants who settled in the same destinations. West Kerry and Ballyferriter/Dunquin/The Blasket Island natives almost all went to Springfield, Massachusetts. Ballymacelligott natives went in large numbers to New Zealand and the Beara Peninsula people went to Montana. The Five Points, Lr. Manhattan became home to hundreds of Lansdowne Estate emigrants. Why are names of our ancestors all spelled in different ways? Standarised spelling was not the norm, poor education meant that a lot of people could not read or write in English. A majority of Kerry people spoke mostly Irish up to the Great Famine with those in the Dingle Penisula and South Kerry continuing to do so. If a clergyman or government official wrote your name down as he heard it and you were unable to read or write yourself, you just went along with that spelling for the rest of your life and indeed so did your descendants. I have just been tracing a family of ‘Corrigans’ who turn out to be ‘Corridons’ in Kerry and I could quote many more such examples. And we won’t get into the Sullivans (or O’Sullivans) who ordinarlily went by a ‘branch’ name at home and still used that on arrival in the U.S., making it very very difficult to find ancestors later. Aother query often received. Yes both ‘Sullivan’ and ‘O’Sullivan’ are the same as well as all the other ‘O’s – O’Connor, O’Connell, O’Driscoll, O’Neill, etc.,(Connor/Connell/Driscoll/Neill). Last but not least, if your ancestor seems to have married two different ladies, or two different men, check that the first has died, or that the Church marriage register (pre 1864) or Civil Marriage record (post 1864) denotes widow or widower as No, we didn’t have divorce in Ireland (or Kerry) until June 1996. Marian, I must come back to you when I get a chance. i was doing some work earlier this week for a Moloney man who is coming from Canada visiting to Tralee this month to find his ancestors. In my search back, I found some notes from a cousin of mine, now deceased – John Moloney , Dromadda, and he seems to be definitely related to you through James Moloney who married the McCarthy lady in Macha. It needs more teasing out! I loved this post! It is so practical. I just found my great grandparents wedding date in 1859 in Syracuse NY after several years of trying. I have slowly learned the reality of tracing Kerry ancestors. DNA helped me contact relatives I did not know about who lived less than an hour from where I grew up in Central New York state. My Walsh/Welsh ancestors are from townland Tullamore in Civil Parish Galey. The economy in Syracuse was booming in mid-nineteenth century so railroads helped bring many there. Terry, I have completed a couple of Genealogy Searches for desendants of different Walsh families from Tullamore. A minefield! but there are some very active descendants tracing the various families. As always, very interesting piece Kay! Thank you! And then we have our ancestors that were sent off due to criminal activity- mainly to Australia? I read of a man with a lot of daughters who made one of them steal cutlery from her employer so that she would be sent off – to hopefully a better life!! Happy New Year to you and Arthur. Rose, thanks for your comments. It never dawns on me that I am blogging to friends and neighbours. Loads of time to ‘think’ after Christmas and I thought if I dealt in one place with the queries that I get regularly both from my work on Finding Your Ancestors in kerry and when I am on duty in the Genealogy Advisory section of the National Library, it might help descendants to understand the motivation of their ancestors better. I got an overwhelming response to this one – even though initially (in error) I had ‘Fenit’ as the Port of Tralee before I woke up and replaced it with ‘Blennerville’. Anyhow thanks again – that is another story – those transported to Australia for all types of ‘crimes’ like stealing a bag of sugar. Wonderful info on the O’Sullivan clan. We have several in our genealogy…O’Sullivan (quart) O’Sullivan (cook) don’t know what either means…any clue? 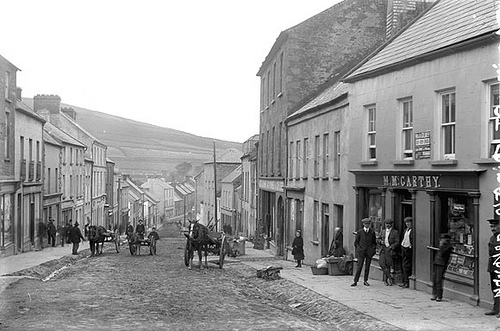 Have you ever come across ‘Cathcart’ in the south Kerry area in early 1800’s approx. Murphy relatives of mine emigrated to both Australia and Boston in the mid 1800’s and left written information that my ‘great/ great/great grandmother’s surname was Cathcart an ulster surname. However, local relatives in Dromad Waterville say this is not the case. Can you shed any light on this. Regards; Billy Nyhan Mallow. Billy, there is a Helen Cathcart married to a Horgan in Cahirciveen in the 1870s. That is the only Cathcart I can see. As you probably know, the Dromod baptisms/marriages don’t start until 1850 so no joy there. Why don’t you have a look at John Grenham’s website and just put ‘Cathcart’ in and you will see the map shoing them all over northern Ireland but nothing at all in Kerry in 1852 at any rate. I’m interested in your last sentence: ” we didn’t have divorce in Ireland (or Kerry) until June 1996.” We have an ancestor who was married in Ireland in 1843, had 5 children in Tralee then left Ireland c. 1855/1856 and married another man in Canada in 1858. The first husband was still living in Tralee. Since you say divorce was not possible, could the first marriage been annulled. If so, would there have been a record? The husband was Catholic, the wife Anglican. Kathleen, I don’t imagine that the marriage would have been annulled on the Catholic side. I am not certain about the Anglican side but more than likely what happened was that she just married again (bigamously) as it was unlikely to be found out. Little did your ancestor think that a descendant over 150 years later, would find out! Wonderful article. My father’s parents were from Ballyheigue. Thank you for writing this. Kay, you always have such wonderful anecdotes! I love to read them and this one in particular I am printing out and putting it in my album of lore and reasoning for my family. This APril I will be heading north to Connecticut to visit our 5 kids and grandkids and one of the places in my home state I will be visiting is The Hunger Museum at Quinnipiac College in Hamden, Connecticut. I have seen photos online of the statuary, books and displays. You always give such sensible information as regards DOBs, ways of paying for tickets, etc. Sheila, thank you for your comment and also for your great interest in Kerry history which I know you have an interest in over many years. what would have been done to bring him back to his own parish or would they have buried him in Ballybunion.? I can’t find where he may have been buried along with his wife even though I know they may not have afforded a headstone but since civil registration was in I would have presumed it would be recorded.He would have died in 1884 and his wife sometime between 1887 and 1902. I have been researching my family, Lyne, from Valentia and Ballinskelligs. I have traced family back to early 1800s through Ireland and USA. Some family members had the surname altered from Lyne to Lyons or Lane!! Patrick Lyne (1884-1949) on immigration into the USA, had his name altered to Lyons and I have successfully traced this branch. However, I am aware of another Lyne who also immigrated into the USA, had their name altered from Lyne to Lane. Denis Lyne (1829? ?- ????) who I understand had his name altered to Lane.but so far I have not been successful in this research. You perform some sterling work and long may it continue. Every success and good wishes for 2018 and beyond. Tim, if you are having a problem with the the surname being changed or variant spelling, I would concentrate on the mother’s name, leaving out entirely the first and second Lyne (or whatever) name when searching both Church and Civil Records on Irish Genealogy. That is how I solved the ‘Corrigane’ ‘Corridon’ conundrum. I have 4 Leyne and now Lyons that came to US in 1870s from Tralee. Thanks very much Kay for that very interesting article. I visited Ellis Island in Dec and thought about the hardship many Kerry people endured before they entered mainland USA and the cities. I had expected to go on tour of the hospitals on the site but due to the cold and lack of numbers it was cancelled. Beidh lá eile agam. I would like to thank you for all your correspondence during 2017 and wish you and Arthur all the best for the new year. Maurice, great to hear from you. That was a pity that you didn’t get the full tour in Ellis Island. It isn’t as if you can pop over every now and again!. Hopefully we will meet up at some event during 2018. I am planning to go to Bryan MacMahon’s lecture in the old Tralee Workhouse (Kerry Co. Council Offices) on 10th April if at all possible. Context is so very important. Thank you for this informative post. That was a very interesting read! Thanks for your knowledge and research in putting into perspective the historic era matched with emigration locations and immigration destinations. Also I did not know there was no legal divorce until 1996! That can make potential for a lot of angst and problems in families throughout time. Fascinating blog. Anything on the county of Kerry and ancestors has my attention. I have been researching my Kerry people for over thirty years and I visit Tralee when I can more so once a year now that I have an Irish passport. Fascinating blog. Anything on the county has my attention. I have been researching my Kerry people for over thirty years and I visit Tralee when I can more so once a year now that I have an Irish passport. Thank you for your comment. Hoping you have found all your Tralee/Kerry relatives. Kay C.
Many from Dingle Parish went to Bangor, Maine also……….which in those days was the logging capitol of the world…….My GF and lots of his cousins all settled in Bangor and surrounding areas…….. So informative as usual Kay – a lot to think about. Yes Rosie, thank you for reading. Some Kerry emigrants went further west than the U.S. east coast. Many of our paternal and maternal great-aunts left Causeway/Ballyduff for Toledo, Ohio, and some to Fort Wayne, IN and Chicago in the late 19th century. The building of the Erie Canal and then movement of the Railroads west provided employment. Interesting piece. People from different areas of Kerry settled in different places in the US. From where in Kerry came the people who settled in the coal country in Pennsylvania? Stationery Engineers in the city of Chicago. Years ago when boilers used for heating the buildings and heating water were fueled by coal, the Stationary Engineer would shovel the coal in and shovel what remained (the clinkers and ash) out. St. Engineers are locally called “Castleisland Engineers” because years ago, the majority of the men holding these positions were from Castleisland, Co. Kerry. It was a tradition for these fellows to come out from Castleisland and begin working because an uncle or cousin had a job in the buildings and spoke with the union representative (also from Castleisland), and “the fix” would be in. Joan, this is a very valuable comment. It is great to get feedback from places with these stories and it must be a help to descendants tracing ancestors in the future. Quite a lot of descendants of those who emigrated early in the 19th century don’t actually know what part of Kerry they might have been from and this kind of information would be a help to them. Would you have a copy of this ‘piece’ and where you picked it up from (so that I can credit the source) and I will publish it as a separate blog. Thanks Kay. A very useful post as always. Happy New Year to you and yours. Farewelled a lovely man yesterday. Tom Power was a special friend and the driving force behind the Hyde Park Barracks monument to the Great Irish Famine in Sydneyamong many other things. Trevor, thank you for your comment. GOod health & happiness to you & yours in 2018. I was sorry to hear of Tom Power’s death over Christmas. He was a driving force in promoting knowledge of the Earl Grey girls. If you come across an obituary in an Australian newspaper that tells his story from the Australian perspective, I haven’t seen any obituary yet either from the Australian or Irish side. He deserves to be remembered & honoured. If you write Tom Power Irish Echo into your browser there’s a link to a face book page where people have been leaving their condolences. I expect there will be a piece on him in the Echo at a later date. Maybe elsewhere too. I’ll keep am eye out.Father PAul Maloney led the service and gave the homily at St Kieran’s. He was a good friend and knew him well. Perry Mcintyre gave a lovely moving tribute to Tom and his work for the Monument. This is fantastic. My people were Scanlons, Moriarty, Grummell et al from Ballyloughig and Ballyferriter. They all came thru Springfield and lived in Chicopee falls, some continuing to NY. I just returned from Kerry researching these people and places. The most difficult thing is whether or not they used the Gaelic forms of their names or towns. A cousin chose to spell his name Scanlaine while the 1901 census made them Scanlan. He’s about to take a DNA test so I’m curious to see if he tries to do a tree. This is fascinating! I have been wondering for some time now why my Finn ancestors from Castlegregory left when they did – sometime between 1830 -1836. I’m assuming it was to have their own land near Montreal, Canada. Was Canada the only place they could get to at that time? I don’t think they had any relatives there before them. And there didn’t seem to be many (or any) family that joined them there either. Anyway, this information puts more context to my searches. I love your site! I’ve been to many others, but this one has given me information I haven’t seen before. Thank you. Mary, thanks for your comment. While we don’t know exactly why your Finn ancestors from Castlegregory settled near Montreal, I would think it was because their nearest port for emigration during the 1830-1836 period was Bllenerville, the Port of Tralee. It would make perfect sense for them to choose to leave from there and almost all the ships at that time leaving Blennerville went to Quebec. Now I know that a high proporation of the passengers used Quebec to then travel on to the northern U.S. state as this route was by far the cheapest way to get there but for Kerry people it was also the easiest one to travel to. Why don’t you try and see if you can find them as passengers on any of the ships that left the port of Tralee as on my blog Emigrant Ships from the Port of Tralee. Aww Vincent . You are too kind! Kay, thank you for the fascinating and informative article. I will definitely be looking for others to read. My husband’s Kerry (grandparents from Dingle) family settled in Holyoke, MA. An O’Connor gtgt aunt of his settled in Lawrence, MA and a connected line in Springfield, so it was very interesting reading the settlement areas you mentioned. Thank you for your comment. Any information on ‘settlements’ of local Kerry immigrants always welcome on these pages. it helps everyone searching, to connect. Excellent and very informative piece. 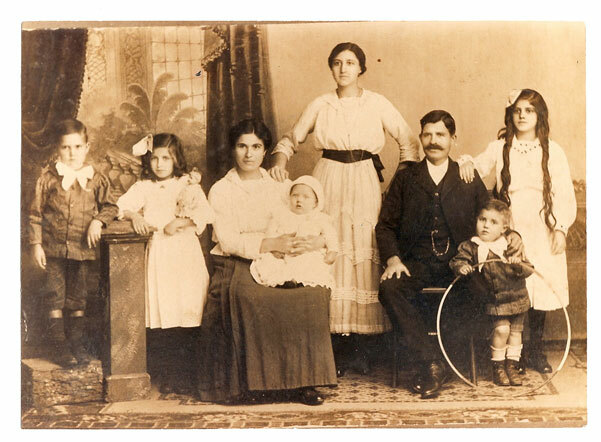 I have had some similar experiences tracing my family Lyne – Lyons, Leyne, Lane etc. Tim thank you for your comments. I am continually promising myself to do more blogs but TIME is the great problem. Never enough of it. I can imagine the hassle you have trying to find Lyne/Lyons/Lane and all the other misprints – a suggestion is to just use the mothers name in your searches – leave out the surname entirely. It often works. You do fantastic work and provide excellent advice and I will continue to check further. I am registered with a number of sites – myheritage.com; findmypast.co.uk; myancestry.co.uk; familysearch.org and a number of irish sites. The more I research I usually end up with thousands of similar names or indeed same names!! In the case of one of my ancestors I understand, from talking with my cousins in Valentia, that there was a “step” in our family and that he was married three times. I can trace two wifes one of which was gave rise to descendants of which I am one. It would appear that in the mid 1800’s that church / burial records were not kept or were not accurate. Kay, I came across your website by chance and enjoyed reading your blog and the comments. I have been researching my ancestors (McGrath, Walsh, Lynch, Carmody families) from Ballyline and Coolaclarig. I visit North Kerry regularly as my parents and numerous cousins are still there and would welcome help in going back further in time, in particular establishing a connection to McGrath’s that settled in Renfrew, Canada. Hello! Great read, thank you! I have traced my Kerry ancestors back to a specific place, and had thought this morning, what was going on in Kerry then? I feel lucky that my ancestors came out the other side of the Famine intact! My Lucids- a rare name in the US-were in Ballyheigue. George Lucid and Hanora Bunce were born in the 1820s and were having children in Doonmontaine (I assume that means “down mountain” or something like? It appears to be just south of Mauin Mountain.) well into the 1860s. And so they were having children during the famine and post famine years, which seems amazing to me. A lot of Lucids came to Indianapolis in the 1860s-1880s including my ancestor Phillip,and I have been trying to trace their passage and connect them all. And, yes, he has no fewer then 4 different birth years listed in various places, making it tricky! Incidentallly, my Phillip married into the Corridan family you mentioned. Thank you very much for your advice on context. My great grandparents, Thomas Boyle was born at Rathmorrel, baptized at the Causeway and my great grandmother Ellen Moriarty in Tralee, I believe. Yes distance must have been a real consideration and in my imagination I wonder where they met in the 1870s particularly as the Boyles were probably dirt poor living hand to mouth as rural workers. They work in Ardfert, and Kilcooley so I presume they wandered by season picking up any work that was available. I presume that was the lot of anyone without land.